I started this one 2 years ago and just wanted to have some fun. Haven’t touched it again until today. Time to release it into the wild! I did not have any specific story in mind for this one. 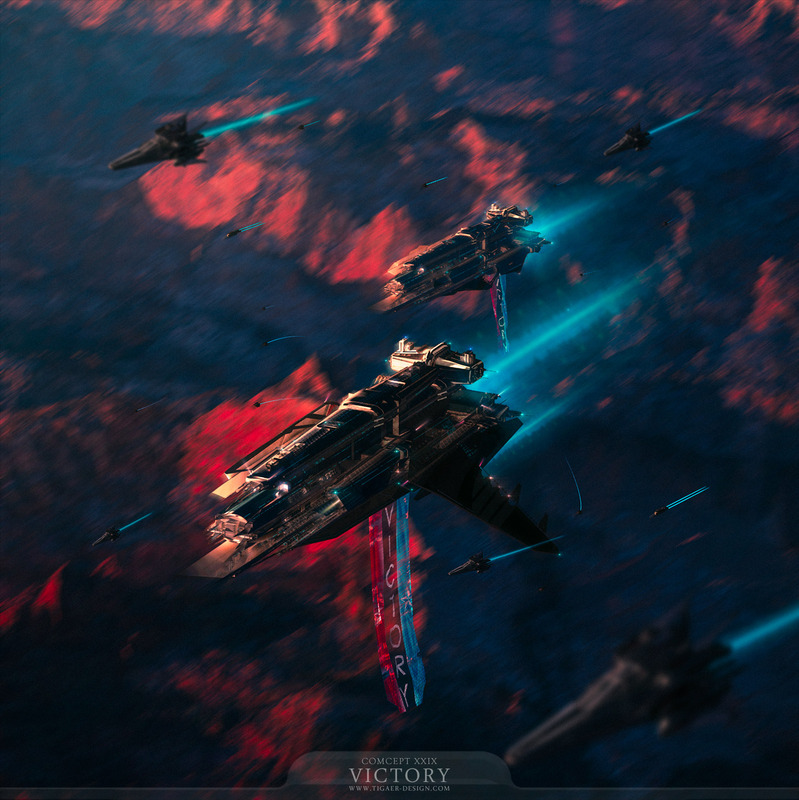 Just some battlecruisers on their way home… celebrating victory over some unfortunate enemy. Pretty basic stuff. =) So yeah, pretty much a just for fun piece – trying myself on a square picture format. Technically it’s business as usual with a Vue rendered plate to work with in Photoshop. I was playing around with filters to give it a more painterly look. In the end I decided to tone down the filters and highlight the depth of field effect a little more. This entry was posted on Monday, March 19th, 2018 at 14:38	and is filed under Paintings. You can follow any responses to this entry through the RSS 2.0 feed. You can leave a response, or trackback from your own site.